Medihoney Derma Cream helps protect vulnerable skin and moisturise dry skin conditions. 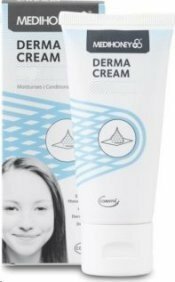 Suitable for skin prone to Eczema, psoriasis and dermatitis. When using for the first time, patch test on a small area of skin.